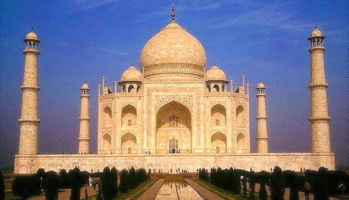 BREAKING NEWS — LISBON, Portugal　｜JULY 7, 2007 — The Great Wall of China, Rome's Colosseum and India's Taj Mahal were among seven architectural marvels named the new wonders of the world Saturday. 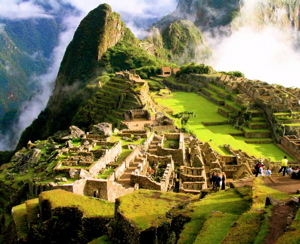 The other four winners, chosen by a global poll, were Peru's Machu Picchu, Brazil's Statue of Christ Redeemer, Jordan's Petra and Mexico's Chichen Itza pyramid. About 100 million votes were cast by the Internet and cellphone text messages, the nonprofit organization that conducted the poll said. The seven beat out 21 other nominated landmarks, including the Eiffel Tower, Easter Island, the Statue of Liberty, the Acropolis, Russia's Kremlin and Australia Sydney Opera House. The campaign was launched in 1999 by the Swiss adventurer Bernard Weber. Almost 200 nominations came in, and the list was narrowed to the 21 most-voted by the start of 2006. Organizers admit there was no foolproof way to prevent people from voting more than once for their favorite. The Great Pyramids of Giza, the only surviving structures from the original seven wonders of the ancient world, were assured of retaining their status in addition to the new seven after indignant Egyptian officials said it was a disgrace they had to compete. People throughout the world voted by Internet or phone message for the world's top architectural marvels, said New7Wonders, the nonprofit group conducting the balloting. 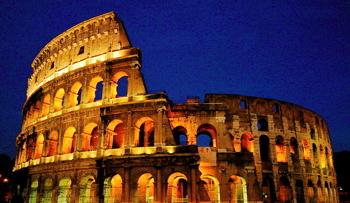 The Colosseum, the Great Wall, Machu Picchu, the Taj Mahal and Petra have been among the leaders since January. 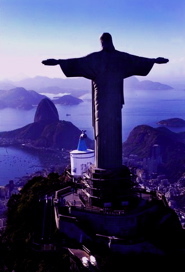 The Acropolis and the Statue of Christ Redeemer recently received a surge in votes. The United States' Statue of Liberty and Australia's Sydney Opera House have been sitting near the bottom from the start. Also in the less-voted group are Cambodia's Angkor, Spain's Alhambra, Turkey's Hagia Sophia, Japan's Kiyomizu Temple, Russia's Kremlin and St. Basil's Cathedral, Germany's Neuschwanstein Castle, Britain's Stonehenge and Mali's Timbuktu. Weber's Switzerland-based foundation aims to promote cultural diversity by supporting, preserving and restoring monuments. It relies on private donations and revenue from selling broadcasting rights. The U.N. Educational, Scientific and Cultural Organization, or UNESCO, keeps a list of World Heritage Sites, which now totals 851 places, but the agency was not involved in Weber's project. 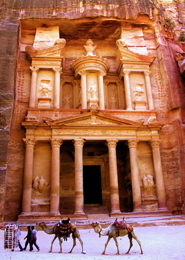 The traditional seven wonders were concentrated in the Mediterranean and Middle East. That list was derived from lists of marvels compiled by ancient Greek observers, the best known being Antipater of Sidon, a writer in the 2nd century B.C. The Hanging Gardens of Babylon, the Statue of Zeus at Olympia, the Temple of Artemis at Ephesus, the Mausoleum of Halicarnassus, the Colossus of Rhodes and the Pharos lighthouse off Alexandria have all vanished. GENEVA, Switzerland — Associated Press | JUNE 13, 2007 — The Great Wall, the Colosseum and Machu Picchu are among the leading contenders to be the new seven wonders of the world as a massive poll enters its final month with votes already cast by more than 50 million people, organizers say..
As the July 6 voting deadline approaches, the rankings can still change, the organizers say. Also in the top 10 are Greece's Acropolis, Mexico's Chichen Itza pyramid, the Eiffel Tower, Easter Island, Brazil's Statue of Christ Redeemer, the Taj Mahal and Jordan's Petra. The Great Pyramids of Giza, the only surviving structures from the original seven wonders of the ancient world, are assured of keeping their status in addition to the new seven after indignant Egyptian officials said it was a disgrace they had to compete for a spot. The winners will be announced on July 7 in Lisbon, Portugal. Latin Americans and Asians have been the most enthusiastic voters so far in the final round of 20 candidates for the world's top architectural marvels, but people from every country in the world have voted by Internet or phone, says the nonprofit organization conducting the balloting. "It's the first ever global vote," said Tia B. Viering, spokeswoman for the "New 7 Wonders of the World" campaign. The organizers are hoping for a final surge of voting from the United States and Europe to make the selection truly global. 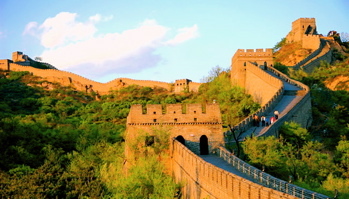 Rome's Colosseum, China's Great Wall, Peru's Machu Picchu, India's Taj Mahal and Jordan's Petra have been among the leaders since January while the Acropolis and the Statue of Christ Redeemer made their way up from the middle of the field to the top level, according to latest tallies. The United States' Statue of Liberty and Australia's Sydney Opera House have been sitting in the bottom 10 since the start. Also in the bottom group are Cambodia's Angkor, Spain's Alhambra, Turkey's Hagia Sophia, Japan's Kiyomizu Temple, Russia's Kremlin and St. Basil's Cathedral, Germany's Neuschwanstein Castle, Britain's Stonehenge and Mali's Timbuktu. Americans and Europeans have the lowest participation so far, Viering said. "At the moment, most of the voting is coming from Latin America and Asia," she told The Associated Press. But the organizers are confident the campaign will draw more attention in the U.S. and Europe in the final phase, Viering added. "Excitement is starting to pick up in the United States" because the campaign is getting much attention worldwide and Americans are starting to realize how positive it is, she said. "People realize that it's now or never." 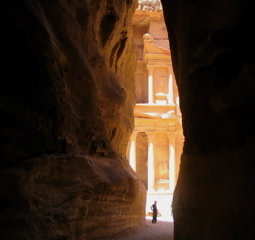 The ancient city of Petra in southwestern Jordan - popularized by "Indiana Jones and the Last Crusade" and famous for its water tunnels and stone structures carved in the rock - jumped from the middle of the pack to the top seven in January thanks to campaigning by the Jordanian royal family and thousands of Jordanians voting by text message over their mobile phones, Viering said. The campaign was begun in 1999 by Swiss adventurer Bernard Weber, with almost 200 nominations coming in from around the world. The list of candidates was narrowed down to 21 by the start of 2006. Since organizers started a tour to each site last September, the competition has been heating up. There is no foolproof way to prevent people from voting more than once for their favorite wonder, but most of the votes are cast by Internet in a system that registers each participant's e-mail address to discourage people from voting twice, Viering said. "We have a lot of kids (voting) and that trend is continuing...but we have votes really from every part of the population," she added. The original list of wonders were concentrated in the Mediterranean and Middle East. Vanished are the Hanging Gardens of Babylon, the Statue of Zeus at Olympia, the Temple of Artemis at Ephesus, the Mausoleum of Halicarnassus, the Colossus of Rhodes and the Pharos lighthouse off Alexandria. After the Egyptian protest, the organizers of the campaign set the pyramids above the competition. "We absolutely had no problem with this," Viering told the AP. 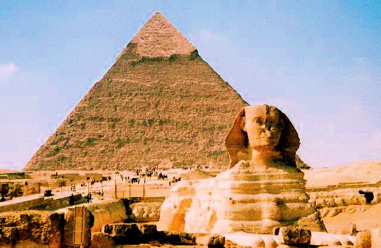 As of July 7, there will be eight world wonders including the Pyramids of Giza, she added. 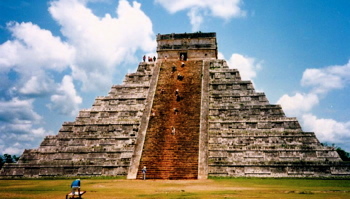 Choosing world wonders has been a fascination over the centuries. The United Nations Educational, Scientific and Cultural Organization, or UNESCO, keeps updating its list of World Heritage Sites, which now totals 830 places. "It's so exciting," said Viering. "There are not many things that could bring the world together like global culture, ... this is really something that every single person in the world can be interested in. This is all about bringing people together, to appreciate each other, ... to celebrate diversity." Weber's Switzerland-based foundation aims to promote cultural diversity by supporting, preserving and restoring monuments. It relies on private donations and revenue from selling broadcasting rights.